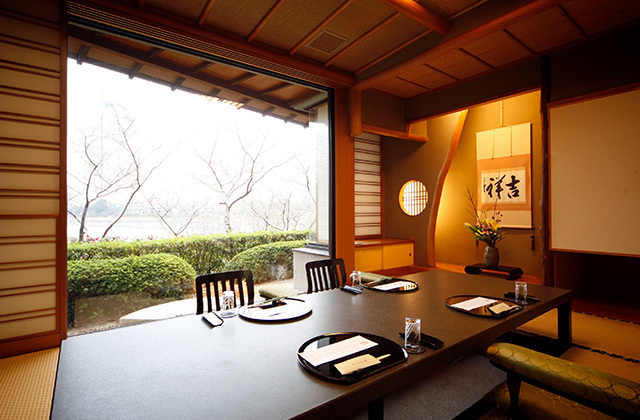 The Hotel Sanderson truly represents the city of Maebashi's best location for business and leisure. We are located in the middle of Maebashi which is the capital of Gunma prefecture.Theprimary method of transportation in this area is by automobile.The road system is well developed. 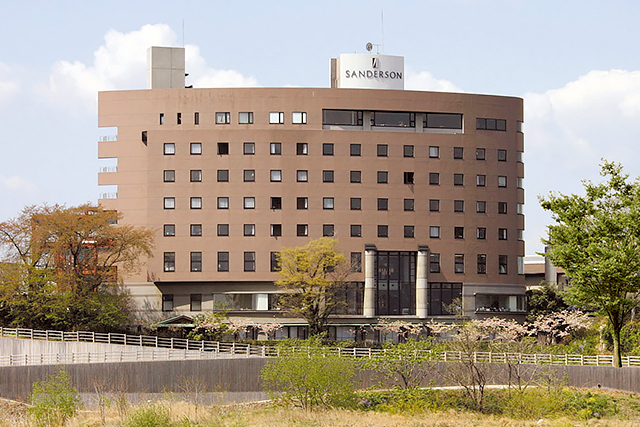 The hotel Sanderson is conveniently located from Tokyo and the Saitama area and is only 10 minutes by car from the Maenashi I.C (interchange)exit of the Kan-etsu freeway.Many visitors on business trips from Tokyo have stayed at our hotel. 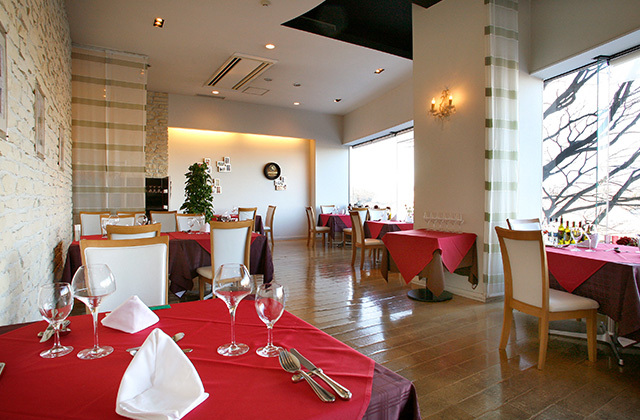 Our choices for fine dining are a Japanese restautant, an Italian-French restaurant, and Chinese restaurant. Enjoy the tastes and atmosphere of each restaurant. We are considered one of the best deatination in Gunma prefecture providing wonderful views of the Tone-river,the great outline of the Akagi Mountain, the cherry blossoms in spring, and the red and yellow leaves in autumn. Livinrg room, bed room and bathroom separated by privacy wall in our special suite room. 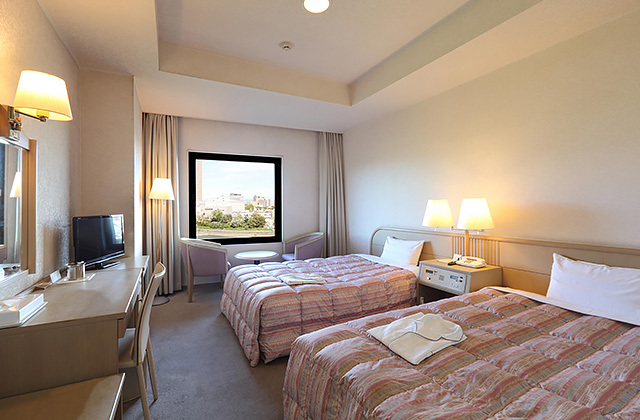 We have one special suite room that has the best view of Maebashi. 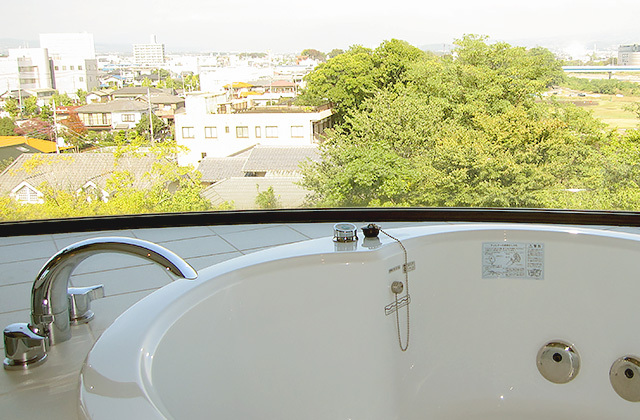 Please enjoy the beautiful outline of Akagi Mountain through window of the room and have a wonderful time while you are taking a bath next to the great view. Enjoy the quiet, calm atmosphere of our modern European style rooms. 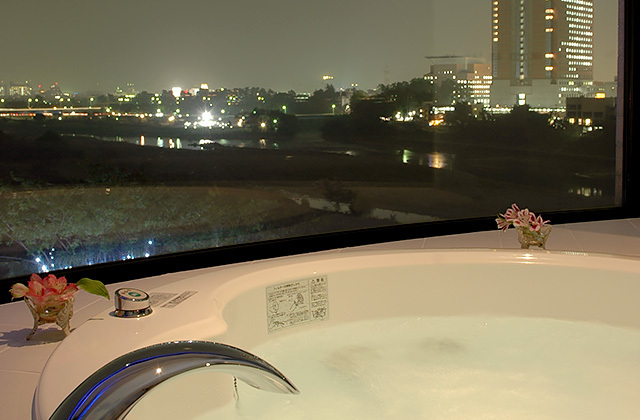 In standard twin room along with Tone river, enjoy the great views through a year with Japanese four seasons. 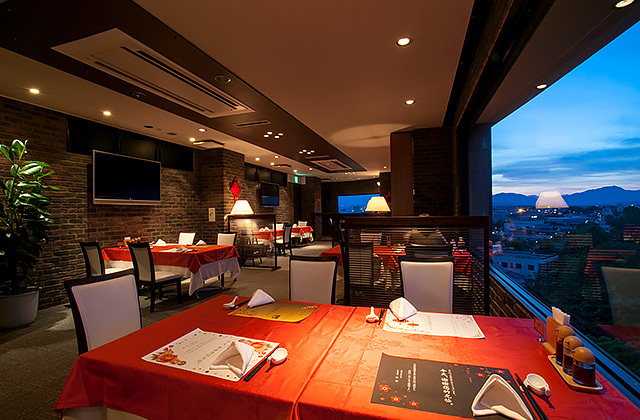 Enjoy the great night views of Maebashi-city and the seasonal scenery of Akagi Mountain from all of the standard twin rooms along with Tone-river. 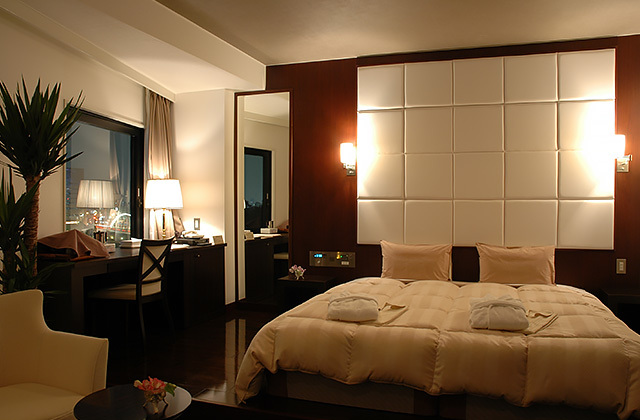 A functional single room is the best and big enough for a business-trip guest. The best desibned for business visitors. 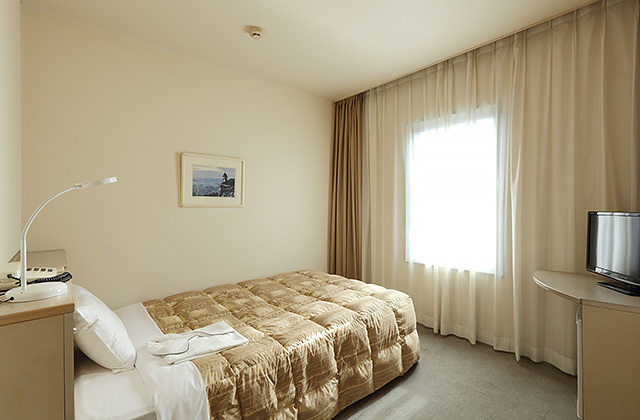 Weoffer a semi-double bed for each of the single rooms and a pants-presser, and hair dryer. We offer comfortable service and delicious food. Enjyo our creative traditional Japanese　”Kaiseki-food”with fresh ingredients in season. 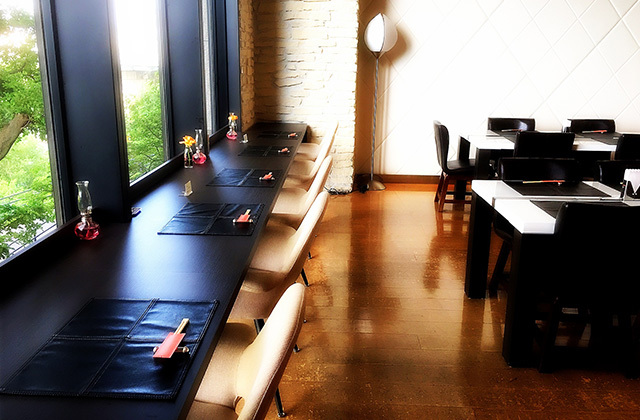 We have only quiet,privete Japanese room at the of the Tone-river for all customers. Our restaurant server authentic chinese dishes. From the Narita Airport take an express bus to JR Maebashi station. Then take a taxi to get to the Hotel Sanderson. This takes sbout 3-4hours from the airport to our hotel. Take the Kanetsu Highway from Nerima Interchange, Tokyo, to Maebashi Interchange and take Route 17 from Maebashi Interchange to Hotel Sanderson in downtown Maebashi City. It takes sbout 80 minutes from the Nerima Interchange. 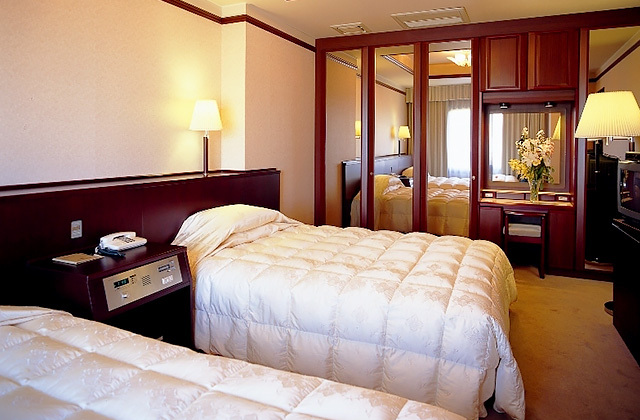 from the Takasaki station to shin-maebashi station and take a taxi from the Shin-maebashi station to Hotel Sanderson. This takes zbout 70 minutes from Tokyo station. © 2019 HOTEL SANDERSON All rights reserved.